Interactive - BrainstormOverload - Small design studio. Big ideas. 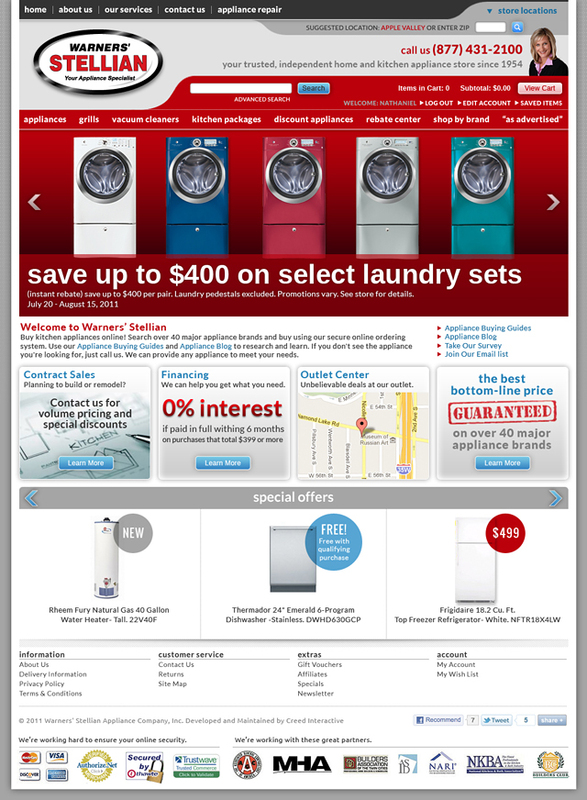 Today we are pleased to announce that our redesign for regional appliance dealer Warners’ Stellian was launched by Creed Interactive. It was a solid design challenge and we are delighted to have been involved. We improved the visual experience while remaining true to the brand; totally revamped the navigation, organization and check out process. We’d like to congratulate Creed on overcoming the monumental technical challenge of sourcing content and images directly from multiple databases (outside their control), dealing with disparate pricing variables, delivery zones, a huge amount of content and us constantly telling them what was missing or needed to be adjusted so the site could launch as designed. You are now free to shop.